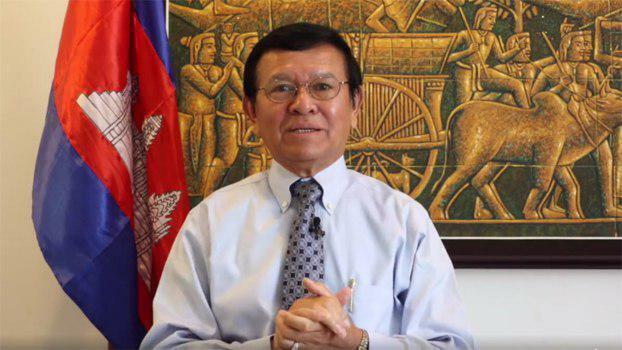 Phnom Penh (FN), Nov. 8 – Former Cambodia National Rescue Party President Kem Sokha sent a letter to congratulate the people of Cambodia on the 65th anniversary of independence (9 November 1953 – 9 November 2018). 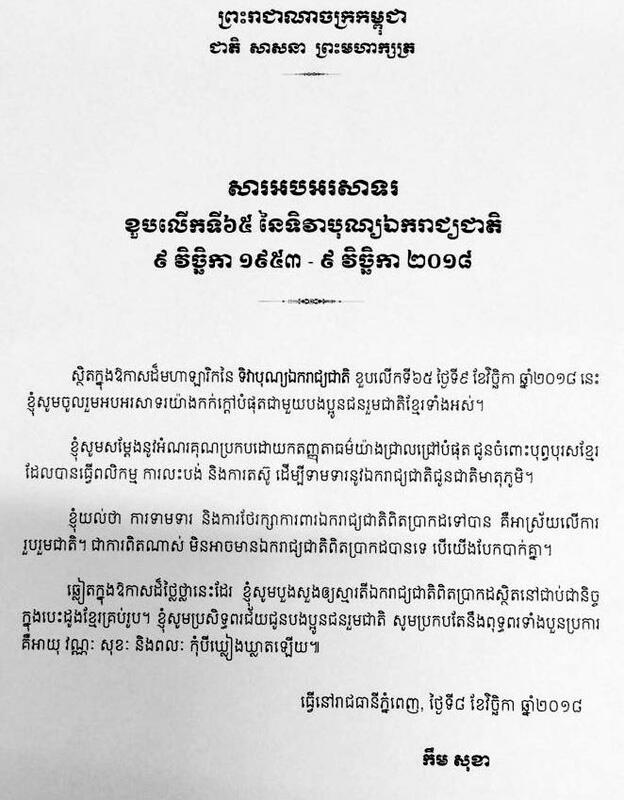 “I would like to express my sincere thanks to Khmer predecessors for sacrificing and struggling to fight for independence for our motherland,” Sokha wrote in the congratulatory letter dated on Thursday. “I think demanding and maintaining genuine independence require unity. Indeed, genuine independence could not happen if we are divided.” the letter added. Analysts stated that even Sokha was put in his house in Phnom Penh’s Tuol Kork under the court’s supervision, he is still able to exercise his freedom of expression, including but not limited to commenting on Facebook, talking on phone, and even use internet freely. It is worth noting that Kem Sokha was released on bail on 10 September 2018 due to his health conditions after being temporarily detained for over a year at Tropang Phlong prison. Sokha was arrested at his house in Toul Kok, Phnom Penh at 00:35 am on 3 September 2017. He appeared in a video published by CBN, speaking of his plans, supported by foreigners, to topple the legitimate government of Cambodia. Charged with Criminal Code “conspiring with foreigners”, his offence subjects to a penalty of 15 to 30 years imprisonment.